I’m still so in love with the way my painted piano looks. Before I decided on painting it white, I looked around at lots of other piano painting makeovers. 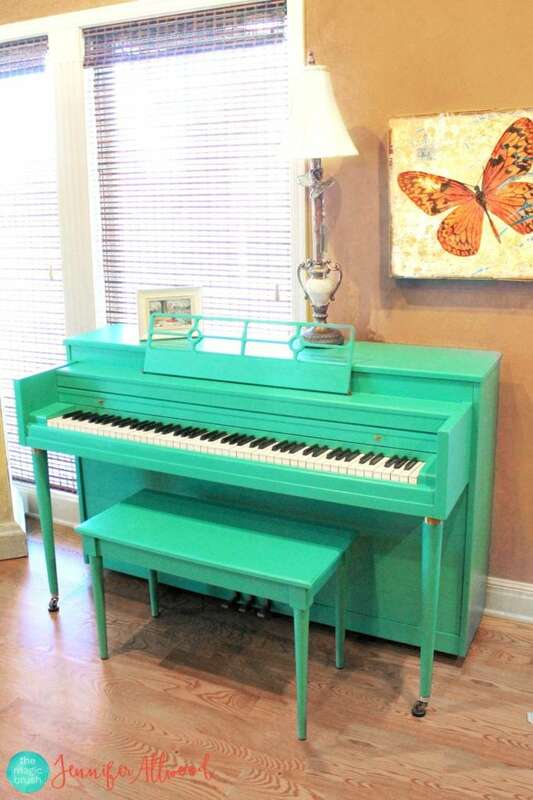 There are so many examples of pianos painted in beautiful, bright colors. I thought I’d put together a little round up of the ones that I like the most, to give you some inspiration. 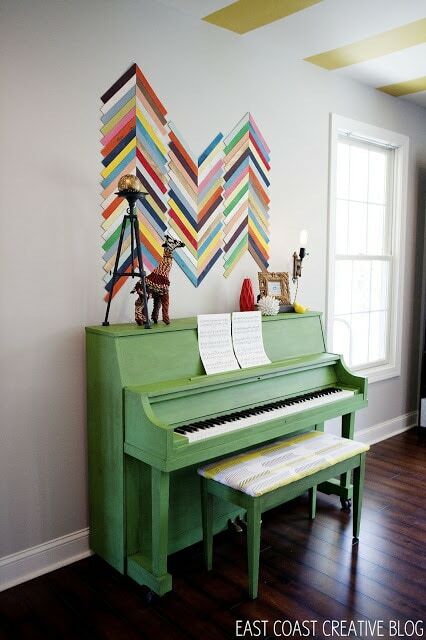 If this doesn’t convince you to paint your piano, I don’t know what will! I think this piano from Your Homebased Mom is the one that started it all for me. I was *this* close to painting mine a minty color like this. I love how fresh and bright it looks! 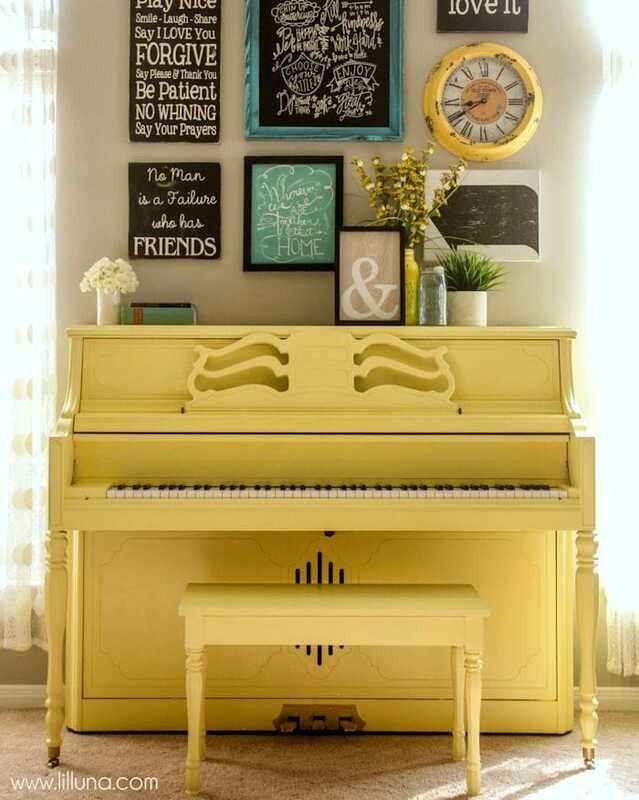 I never would have thought to paint my piano yellow. I’m loving this one from lil’ luna. Such a beautiful color for a piano! 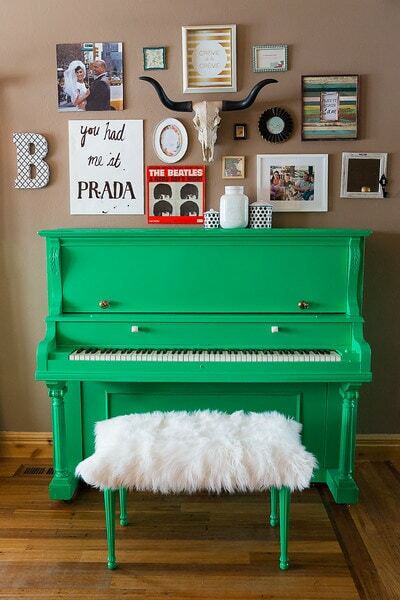 This green piano from Cents of Style is so bright and cheery! Another color I never would have thought to use. It works though. 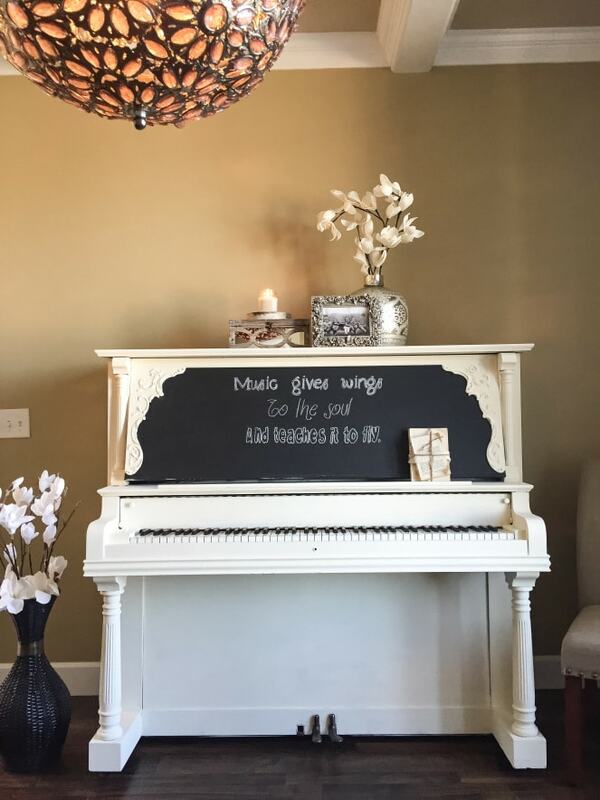 This piano from Love the Day is a little more traditional looking, painted black with some distressing. 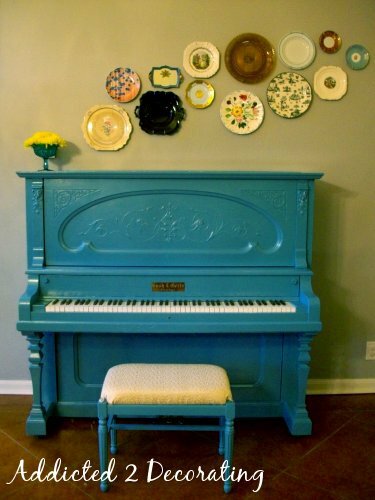 This blue piano from Addicted 2 Decorating is pretty. I love the carved details on it. 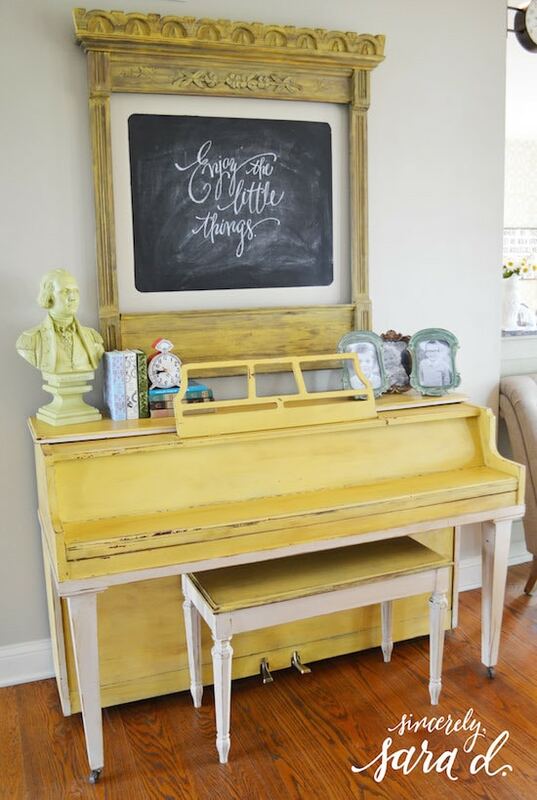 The yellow and white on this piano from Sincerely, Sara D. looks so pretty. And that chalkboard behind it? Just gorgeous! I love the details on this piano from Kammy’s Korner. This was another color that I was considering. The subway art bench is so fun too! 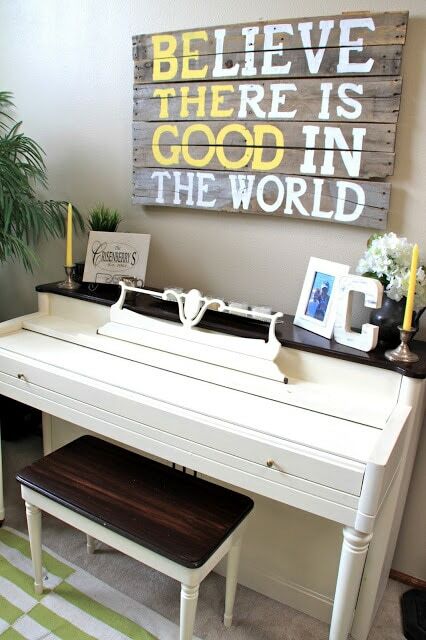 I really like the mix of painted and stained wood on this piano from Mimi Berry Creations. This piano from Two Thirty-Five Designs has me wanting to change out my piano’s knobs. So pretty! 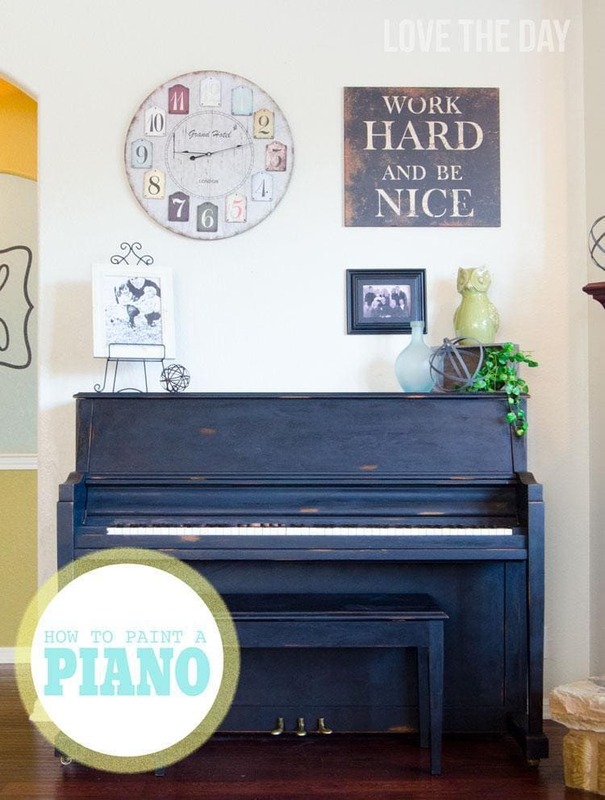 Painting a chalkboard on a piano?! 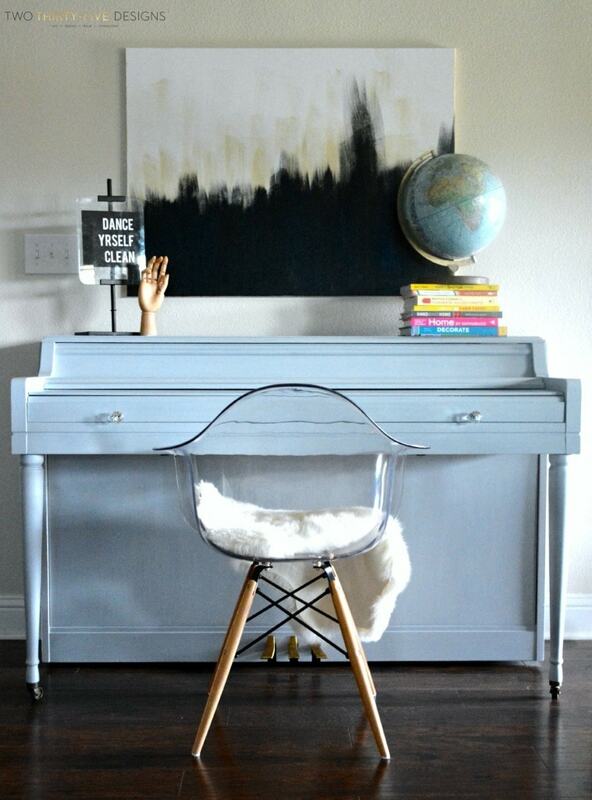 This piano from ashleysdecorspace is so fun! 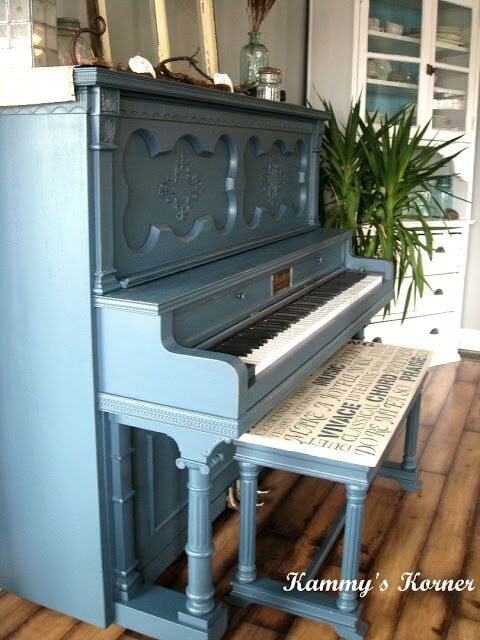 The deep blue color on this piano from Love the Tompkins is lovely. I really like it with the green accent lamps. 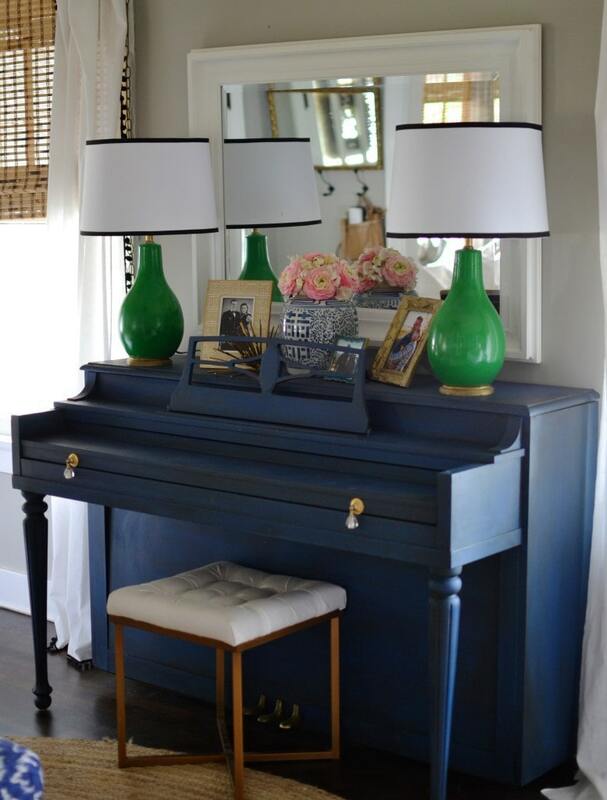 Here’s another pretty green piano from East Coast Creative. I love the artwork above it too. This is another one that has me wanting to change out my knobs. 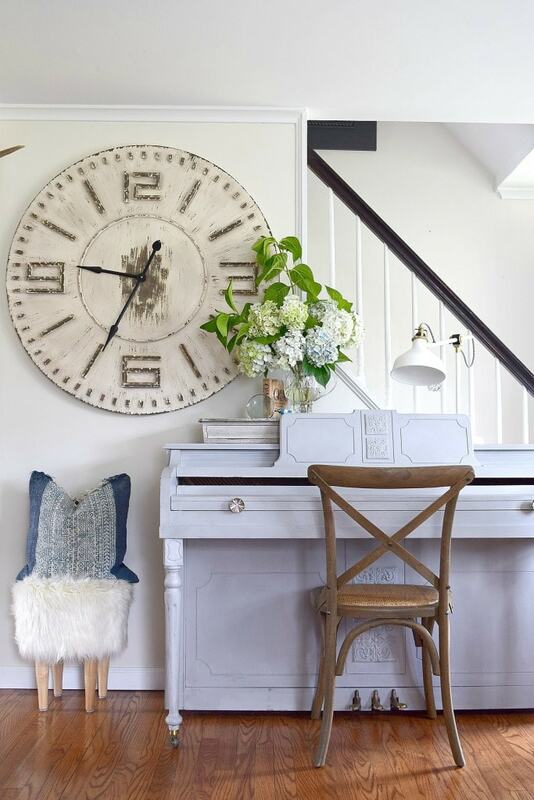 I love everything about this piano makeover from Nesting with Grace. 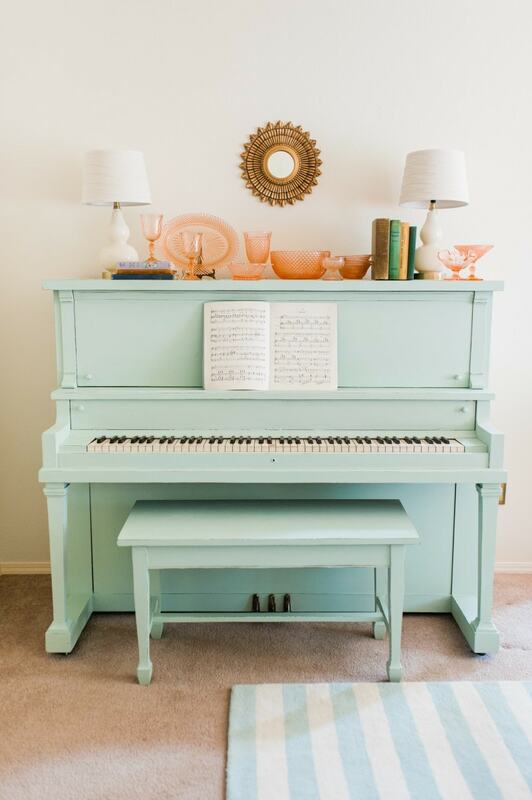 This piano from The Magic Brush is such a fun color. This would definitely brighten up any room. 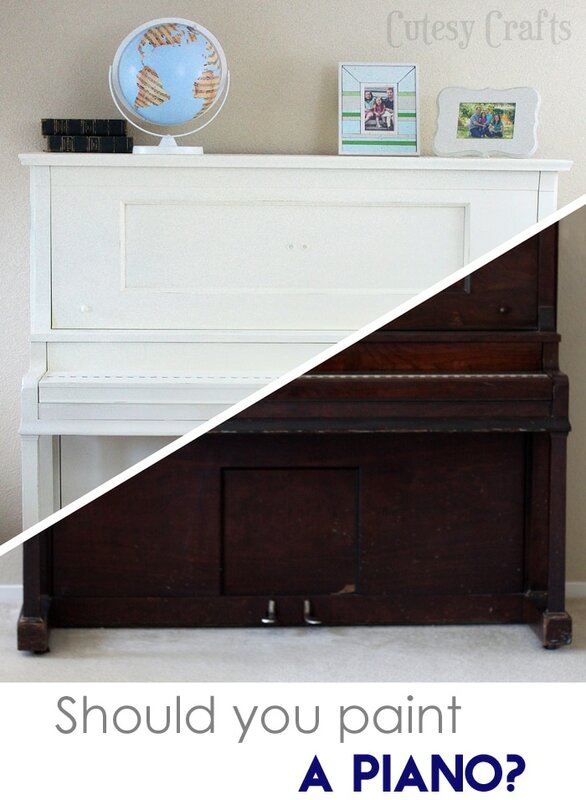 And if you just want to play it safe, here’s my experience with painting a piano white. Don’t have a piano yet? Here are some things you might want to consider before even taking that old piano in the first place. 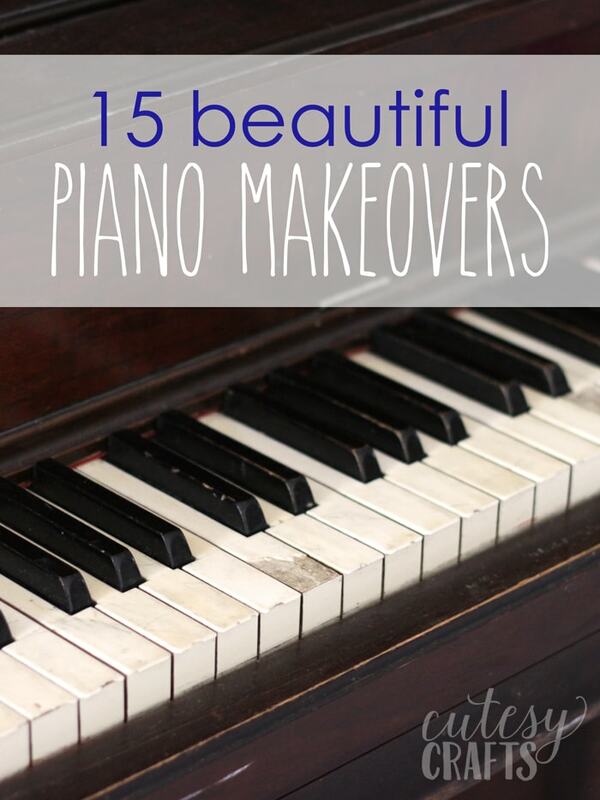 Hope this gets your creative wheels turning with a piano painting makeover of your own. Which one is your favorite? I’d love to hear about your experience with painting a piano!